I’ve imported this directly from India. It is premium sari silk carded into small batts. 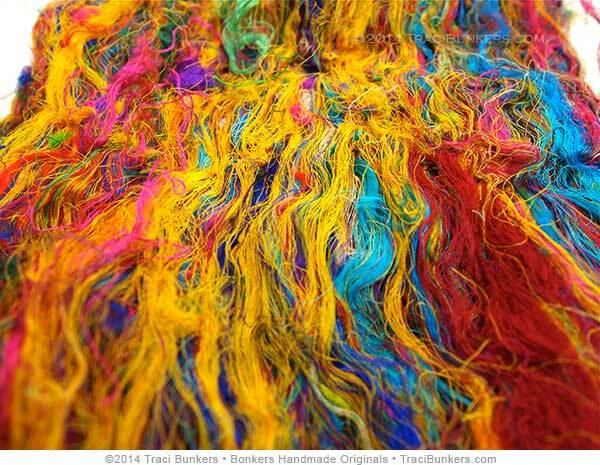 The batts come in 3 sizes, based on weight: Small (approx 3-3.5oz), Med (approx 3.6-4oz), Large (approx 4.1-4.5oz). 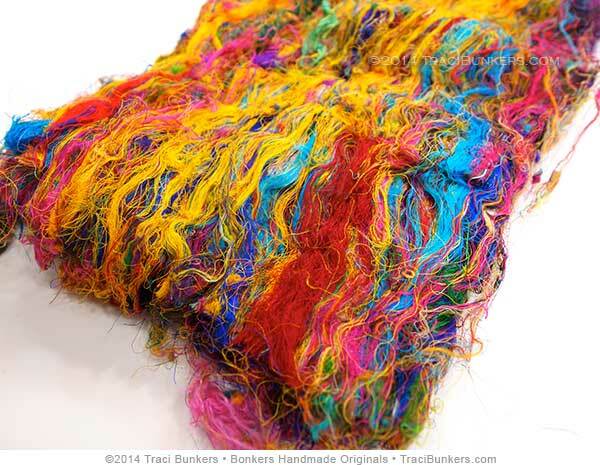 There are many ways to use these multi-colored sari silk batts. It creates great texture and color accents in all kinds of hand, paper, and fiber crafts. 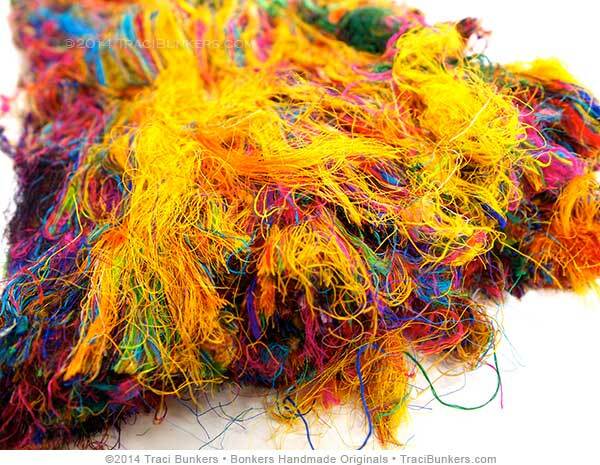 This is the fiber that is used in recycled sari silk yarn. So card them with other fibers to make art batts for spinning into yarn. They can also be used as accents for wet felting or needle felting. 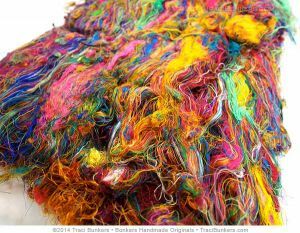 Silk can’t be used for wet felting by itself, but it can be used as decoration on the top layer and easily trapped in by other felting fibers. It can also be used for doll (or creature) hair! 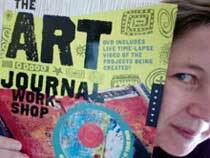 Spread some on top of paper or fabric and freeform sew on top of it. Use your imagination! Each batt is different, so it may have different colors than is pictured. The pictures are just to give you an idea of what you’ll receive. 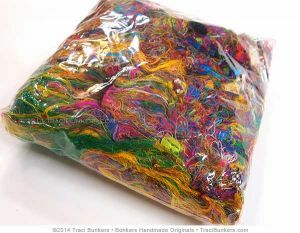 Products related to "Premium Sari Silk Fiber Batts"
Grab bags make it a fun and inexpensive way to have different colors either for spinning, or for embellishing in needle felting or other craft work. 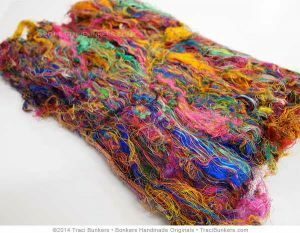 This blend will also work great for wet felting projects!